An improved nutritional status is believed to be a cost-effective strategy for reducing mortality, morbidity, and risks of chronic diseases. However, much of the scientific evidence to support the benefits of nutrients for health maintenance lack consistency and validity. Study designs, methodologies, tools, and funding priorities for nutrition research are evolving to better address key knowledge gaps impacting the science. Some examples include (1) development of new tools to improve assessments of dietary intake, (2) identification and validation of improved biomarkers for determining nutrition status, (3) enhancement of omics technologies to better map the interrelationships between intake (via supplement or food) and true nutrient bioavailability, and (4) improved study designs to better address phenotypic variations in nutrient requirements. To adequately address these and other knowledge gaps, funding opportunities have expanded beyond isolated federal agency initiatives to include more interagency collaborations, public-private partnerships, and international collaborations. The broader scope of collaborations is expected to promote greater opportunities for nutrition researchers to participate in the sharing and analysis of biomedical big data. Capitalizing on access to and the use of biomedical big data may facilitate investigations of the full complexities of the human ecosystem with respect to the nutrition sciences. Provided here is an overview of the funding priorities and trends as they relate to the key knowledge gaps impacting nutrition sciences to date. World Health Organization. Nutrition; 2017. Available from: http://www.who.int/topics/nutrition/en/. Cited 04 Dec 2017. Program, N.I.o.H.A.o.U.R. The future of health begins with all of us; 2017. Available from: https://allofus.nih.gov/. Cited 04 Dec 2017. NIH- National Heart, L., and Blood Institue. DASH eating plan. September 16, 2015. Available from: https://www.nhlbi.nih.gov/health/health-topics/topics/dash/. Cited 04 Dec 2017. NIH-Office of Dietary Supplements. Vitamin E: fact sheet for health professionals; November 3, 2016. 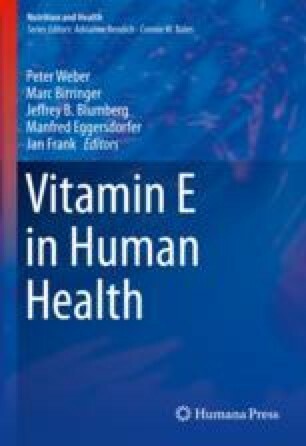 Available from: https://ods.od.nih.gov/factsheets/VitaminE-HealthProfessional/. Cited 5 Dec 2017. NIH-Office of Disease Prevention. National nutrition research roadmap. Available from: https://prevention.nih.gov/resources-for-researchers/prevention-research-needs-gaps/national-nutrition-research-roadmap. Cited 4 Dec 2017. US Department of Health and Human Services. Accelerating medicines partnership (AMP). Available from: https://www.nih.gov/research-training/accelerating-medicines-partnership-amp. Cited 23 Apr 2018. Foundation for the National Institutes of Health. Biomarkers consortium, 1996–2017. Available from: https://fnih.org/what-we-do/biomarkers-consortium. Cited 23 Apr 2018. European Commission. European research area, coordination of research programmes,. Joint programming initiatives, 4/22/2013. Available from: http://ec.europa.eu/research/era/joint-programming-initiatives_en.html. Cited 23 Apr 2018.